Mark Singleton will join the bookmaker as head of sportsbook marketing from 1 July. He will lead the brand's sports-related marketing. Singleton joins from Procter & Gamble, where he has spent the past decade working across Europe and, most recently, in the UK. Paddy Power is now hunting for a head of e-gaming marketing for the poker, casino and games side of the business, and an international marketer. The bookmaker also recently recruited a "head of mischief" to lead the brand's attention-grabbing PR activity. The new position is understood to be held by former Paddy Power PR Ken Robertson. 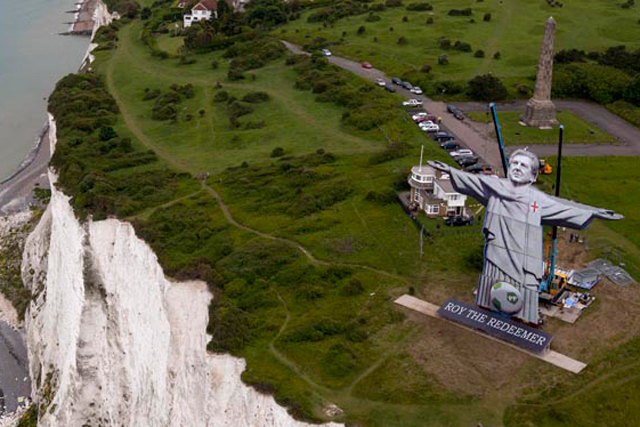 He will oversee stunts such as last week's installation of a giant imitation of Rio de Janeiro's Christ the Redeemer statue, with the face of England football manager Roy Hodgson, on the cliffs at Dover, Kent. The activity forms part of the brand’s ongoing comedic 'We Hear You' campaign. The work includes controversial viral ads, by Crispin Porter & Bogusky. These include "chav tranquilliser", which featured undesirable visitors to the Cheltenham Festival shot with tranquilliser darts. Paddy Power aims to build on its revenue growth of 28% this year compared with last. This increase was driven by online and mobile use. Rev-enue from the company’s mobile betting business was up 241% year on year. The brand’s marketing team is headed by marketing director Christian Woolfenden, who joined from Bacardi at the end of 2011.